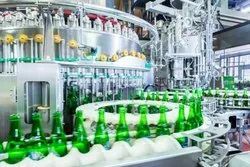 Our range of products include hdpe bottle filling line, automatic carbonated water filler machine, pressure vessel tank and conveyor. We are manufacture and exporter of HDPE Bottle Filling and Packaging Machinery in India, please do contact us for further information about your packaging requirements. 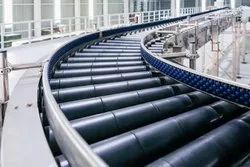 A conveyor belt is an essential tool in the material handling sector. They are the continuous moving strips that are used for carrying different materials from one place to another. 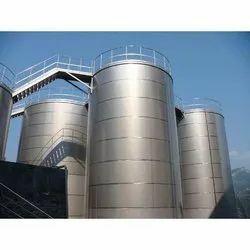 Mostly used for conveying a large volume of materials in a short span of time. A conveyor belt is also known as a belt conveyor. Industrial Conveyor belt system comprises of two or more pulleys. A continuous loop of transport stream the conveyor belt rotates about them. In order to move the belt and the material to transport one or both the pulleys should be power-driven. These belts are generally made of rubber, PVC, Urethane, Neoprene, Nylon, Nitrile, Polyester, leather and others. The industrial conveyor belts are made up of multiple layers of material. Most of the material transporting belts comprise of two layers. The underneath layer is known as Carcass and it gives the linear strength and shape. The Carcass is made up of Polyester, nylon and cotton. The upper layer is known as the cover. Diverse variants of rubber or plastic compounds are utilised to make the cover. 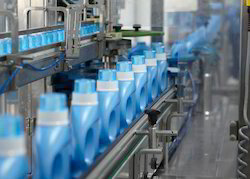 Looking for Filling and Packaging Machinery ?